NEW ALBUM PROGRESS AND TRQ AT THE MOVIES! Oh man! It’s been SO long since I’ve written a blog I barely remember how. First off, how the heck are you all doing? Sara and I are doing great. We had a lovely holiday and a fresh new year and we’ve been hard at work finishing up writing for our new record. Officially we just finished our 41st song. Don’t worry, there will NOT be 41 songs on the record! PROMISE! And for those that wish they could hear all 41 songs, really? Ha. Even my mom set the limit at 25. The songs are sounding great and we’re nearly through the song selection process. AND we start recording February 20th! I have no idea how long it’s going to take to finish or when it will come out, but we’ll be updating you as we know things. We’ll be posting a lot while we are in the studio and keeping you up to speed on our antics and progress! So stay tuned and check back here often! Although I have been very busy writing new songs I have also been hard at work seeing every movie that comes out each week! Ha. I’ve got to get my inspiration from somewhere! So here is a little mini movie blog about two movies you may not have even heard of but you should DEFINITELY go see if you get the chance! 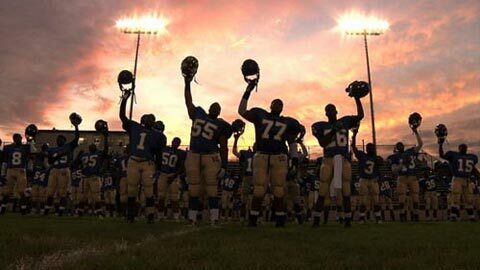 The first is a movie called UNDEFEATED. 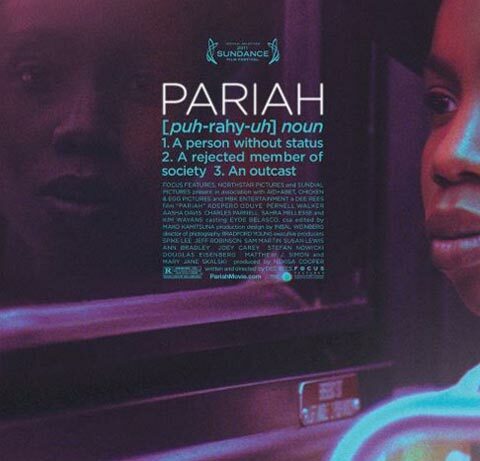 The second movie you should go see is PARIAH. I had seen the trailer for this one and knew it was right up my alley, who doesn’t love a movie about teenage heart break, sexual exploration and family drama on a Thursday afternoon? First off, the movie was fantastic. Just go see it. You don’t need to even read the rest of this entry. But if you want more here it is: The movie was written and directed by Dee Rees and boasts Spike Lee as an executive producer. The real star though is the lead actor Adepero Oduye who plays 17-year old Alike. Alike is in her final year of high school and balancing future college plans and an increasingly unstable home life all the while exploring her sexuality at school. I loved every actor in the film and thought all their performances were incredible. I found every word to ring true and even had a cringe worthy, wiggle in my seat moment recalling some of my own teenager experiences with sexuality. The cinematography was beautiful and the movie had a timeless, gritty feel to it that will keep it relevant for a long time. And it is worth noting that it is not often that a movie with gay themes leaves me feeling hopeful rather than discouraged, angry and sad. I felt like the director was able to showcase some of the grief and struggle with coming out in your teen years without making the entire movie feel like nothing has changed and the world is a terrible unforgiving place. I thought Alike herself was a hero we could all look up to, even those of us well into our 30′s. So go see it! Take a young gay person struggling with their own sexuality to see it! This is a “It Get’s Better” movie for sure! And that’s all folks! Enjoy your winter wonderland wherever you are.